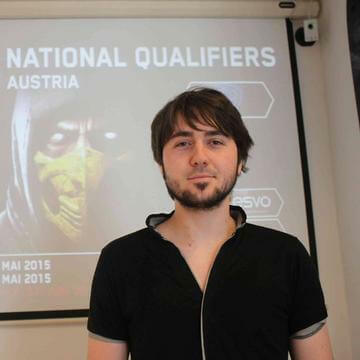 Editor-in-Chief of the austrian gaming media: Cerealkillerz. Persona 5: Dancing in Starlight delivers a solid gameplay experience for fans of rhythm games but besides that only a small section filled with Fanservice. The missing story and the limited track selection will even make it hard for Persona fans to invest more time than they have to into this game. Battlefield V is in its current state not recommendable and a big step back for the series. The Singleplayer and Multiplayer deliver less and less content and feel more and more unfinished. The Gunplay is a lot better than in Battlefield 1 and even the short War Stories deliver some great new insights for the series and into WW2 but we can't recommend getting this game in it's current state. The content at the moment will dissapoint newcomers and long-time fans of the series. Spyro makes a fresh comeback thanks to the solid work behind the Spyro: Reignited Trilogy. The graphic overhaul from the team behind Toys For Bob is great throughout the whole three titles and will get the cheeky purple dragon some new fans. Constant framerate drops and not so well improved camera controls are the only setback in this otherwise great remaster that also should be checked out by fans of the originals. SINNER: Sacrifice for Redemption does possibly everything wrong that every soulslike game before already mastered with ease and delivers no surprises or any gameplay achievements worth mentioning. Besides the solid idea behind the boss rush this game doesn't really offer anything. Call of Duty Black Ops 4 manages easily to compensate the missing singleplayer campaign with lots of multiplayer goodness and a battle royale mode that shouldn't be afraid of fortnite or pubg. The Class Campaigns could be better and some of the recycled elements of the previous games aren't that well integrated but besides that fans of the series will get an amazing multiplayer package with a great zombie mode on top of it all.